This was inevitable. As soon as Al-Shaya’ got their hands on GAP and Banana Republic… Old Navy and Piperlime were sure to follow. Although, nothing has really been said about Piperlime. Old Navy is said to be “in the works”. It might even open as soon as December. They actually might be relocating Debenham’s to make room for Old Navy in Phase One. No official word yet, for this is still a rumor. 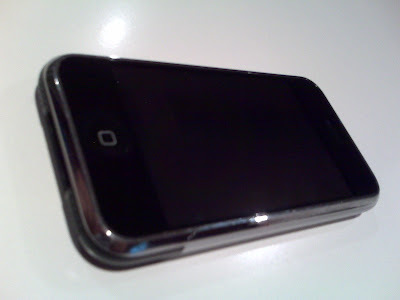 R.I.P iPhone – Delish – No Knobs? I dropped my 8GB iPhone in water.. and um.. it sorta died. I quickly dried it off and watched the screen slowly flicker then turn white. After that, it kept rebooting, over and over again. And finally, it died. After drying it off with a hair dryer, and keeping it, face down, in a container of rice, it started working. But, the screen’s not lit and not responsive. It’s depressing. I’ve had it since November. I loved it. I want it back. Anyway.. the new 3G iPhone is coming out soon [July 11th].. but I’m not sure how people are gonna get their hands on one. Sure the features are amazing, and the price is really low, but you can’t get one unless you sign a 2 or 3-year contract with AT&T. Hmmm.. I just hope someone finds a way. FAST. Went to the Terrace Grill today with the family and had a great time. I shared a plate of Escargot with one of my sisters, and it was delicious. For the main course, I had the Surf and Turn dish, which is a combination of Fillet Mignon and Lobster Tail. Well, the Fillet was amazing, but the Lobster wasn’t that good. I’m guessing it’s because it’s not Canadian [out of season] but Australian. 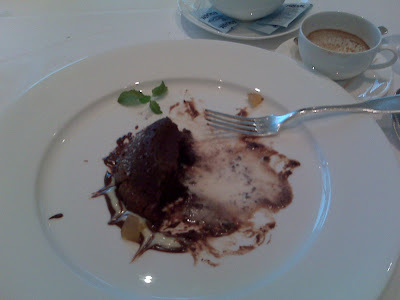 And for desert [drum roll please] I had the Chocolate Tart with chocolate creamy filling and vanilla ice cream. It was delicious, but not as good as it was before. 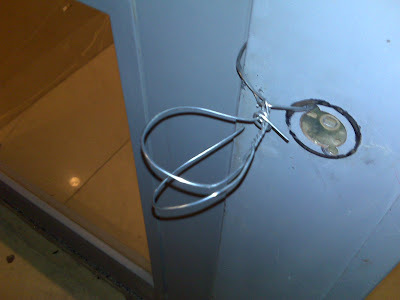 … ummm.. has the world run out of doorknobs? or is this a new trend? Anyways, it was a good day el7imdillah.